Mount Olympus is an attraction both for tourists as well as mountaineers from all over the world. It is the most popular destination among the Greek mountains with more than 150,000 visitors entering the National Park only from the east side. The National Park Service has only one checkpoint along the road that leads from Litochoro to Prionia, so the exact number of visitors is not well documented since many people enter the National Park year round and from other sides of the mountain as well. 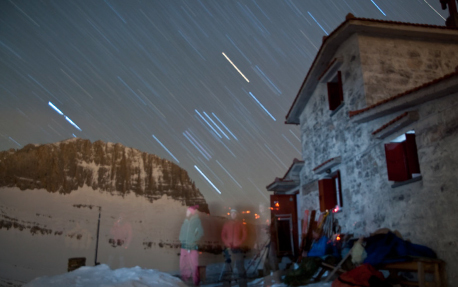 The increasing popularity of the mountain is evident from the large number of international visitors (about 70% of the total number) resulting in the construction of totally 9 refuges since the 1950's. 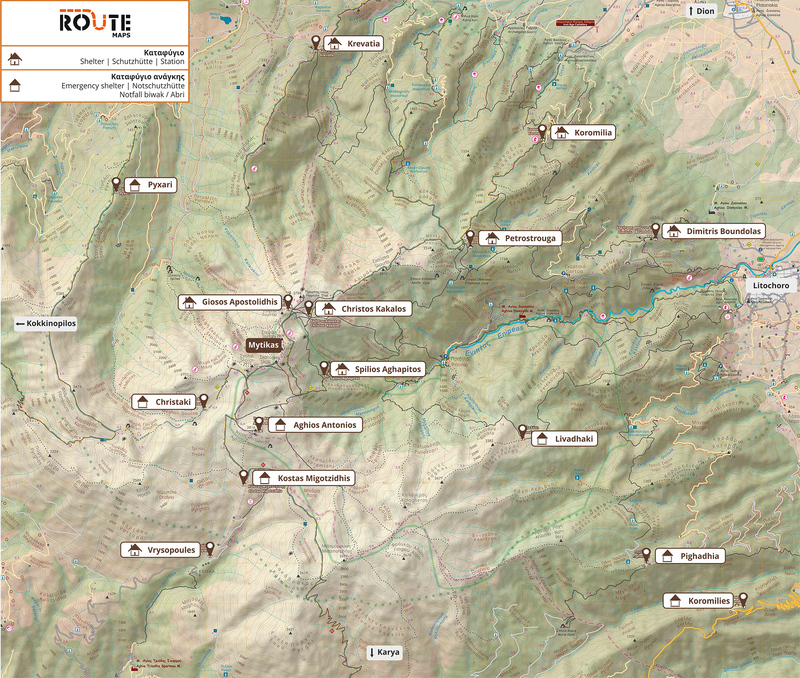 In additions to those refuges there are also 6 bivouac rooms located along the least popular routes. 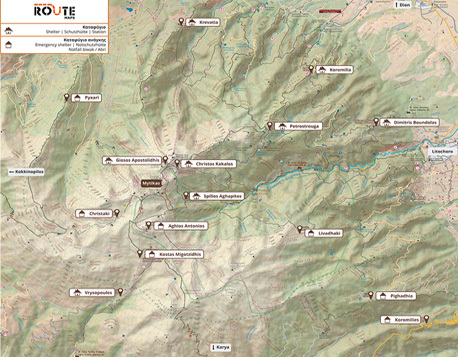 All the described refuge locations are easily found on the topographic map provided by Route Maps (https://www.routemaps.gr/en/). Alpine refuge Christos Kakalos belongs to the Greek Mountaineering & Climbing Federation (www.eooa.gr). 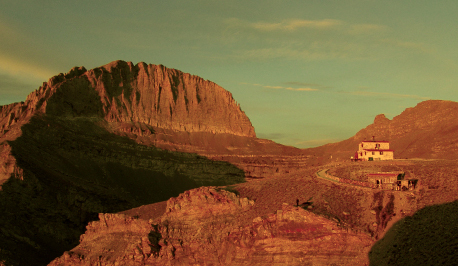 It is located on the Plateau of Muses at an elevation of 2650m. It was named after Christos Kakalos the infamous Mount Olympus hunter who guided Swiss climbers Fred Boissonnas and Daniel Baud Bovy to realize the first recorded ascent to Olympus highest peak Mytikas on the 2nd of August in 1913.Christos Kakkalos also achieved the inaugural ascent of the summit of Stefani (Throne of Zeus) in 1921 with the Swiss topographer Marcel Kurz. 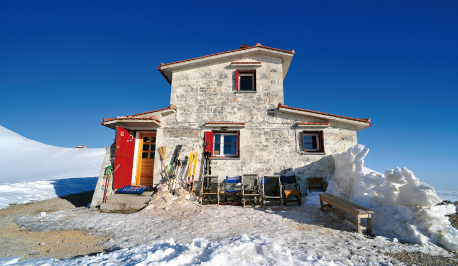 The refuge has a capacity of 17 people and offers lodging, food and toilettes. There is not bivouac space in the refuge. For the summer season the refuge is open from the last weekend of May to first weekend of November. Winter season starts in early March and lasts until mid/late April depending on snow cover conditions. Bookings are realized either by telephone or via email.